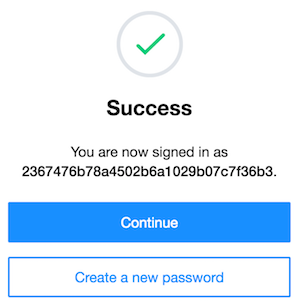 It looks like you haven't signed into 2*****************************b3 for quite some time. Please sign into your account on Yahoo! within the next 60 days if you'd like to keep your account active. But I still decided to try to get my account back, and resetting my password I got it. Then requires that I set a new email address. But now I am confused, why is my account name this long string of random characters, and not my old email? Browse other questions tagged yahoo-mail yahoo yahoo-account or ask your own question. Yahoo! email account is sending spam to my old contacts, what do I do? Does the functionality of email forwarding from an old address to a new one exist? 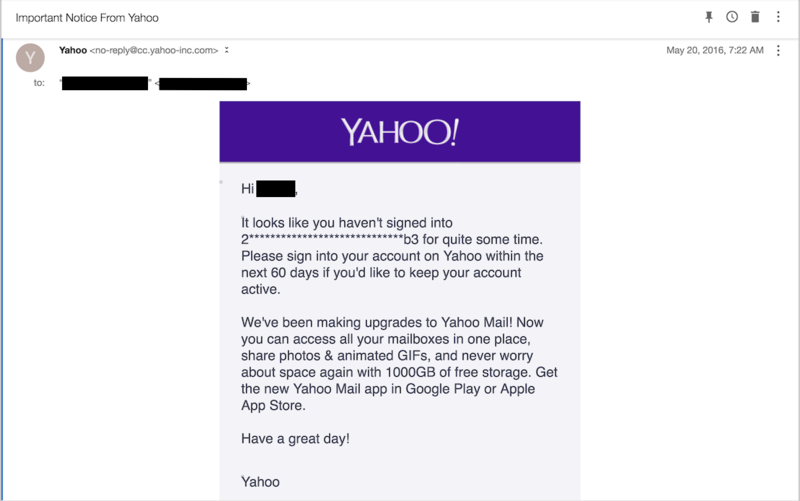 Yahoo is treating my email address as a separate account, how can I merge the accounts? Someone signed in to Google services using my Yahoo email. What should I do now? How to determine email address used to subscribe to Yahoo Group? Email redirection from old address?